The "creatively" named Foam Dart Shooter is one of this year's new additions to the Air Zone collection at ToysRUs. Priced at $10, it was worth picking up to check it out. 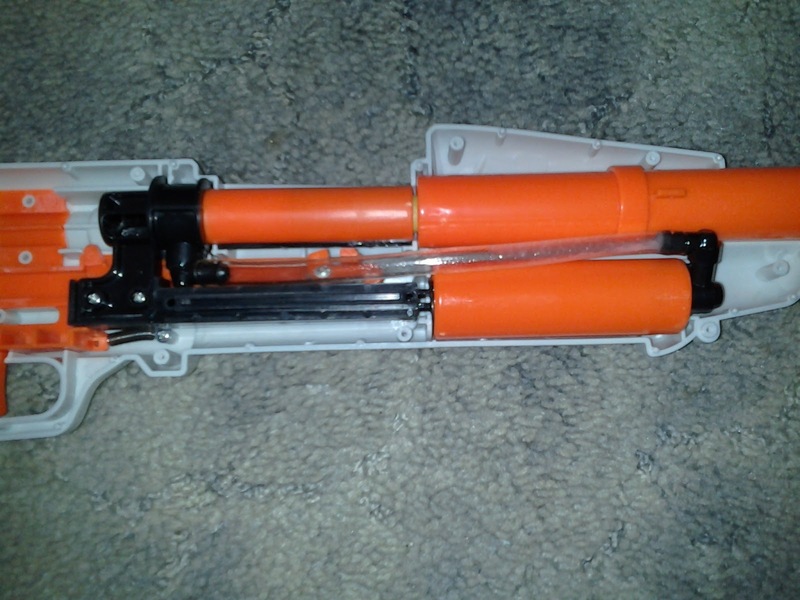 In my opinion, it's a decent blaster, with modding potential. Read on for more. 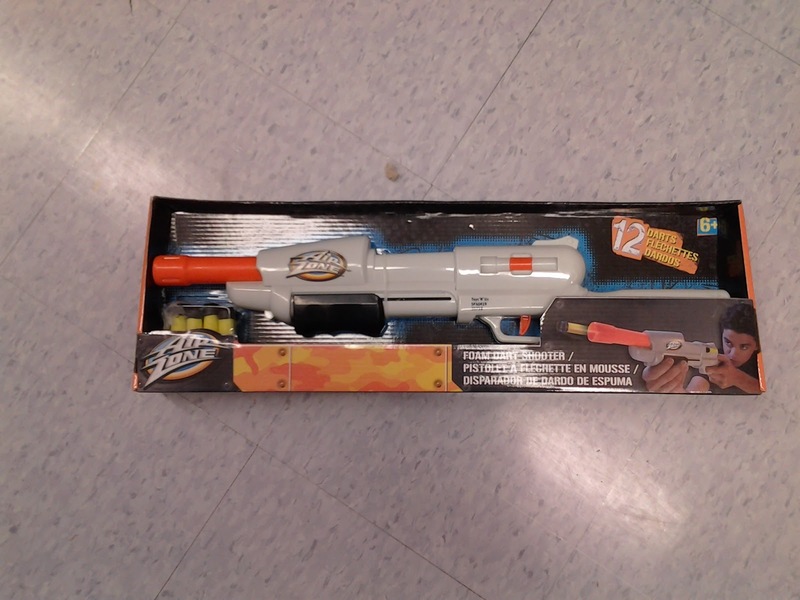 It turns out that the Foam Dart Shooter is actually a revamped Buzz Bee Hunter. The breech has been reoriented to the top of the blaster, and the bolt action has been replaced with pump action. As you can tell, Buzz Bee's standard plunger system is present - the setup has worked for the Rapid Fire Tek, Hunter, and Hawk, so why change? The breech itself, meanwhile, has changed quite a bit. 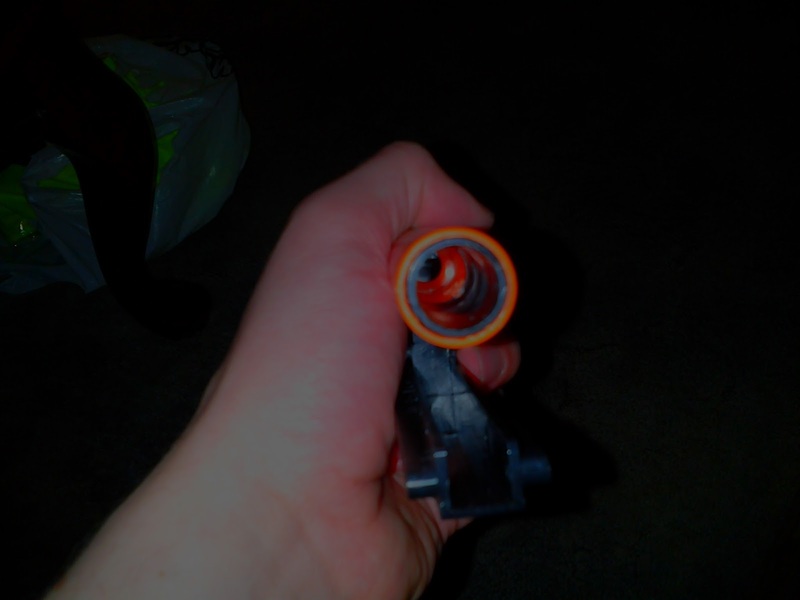 Instead of pesky "shells" or similar devices in previous blasters for restricting airflow, this blaster puts the dart farther forward, so as to spend less time being acted upon by the plunger system. The pic below shows how far back the dart actually sits - not far. 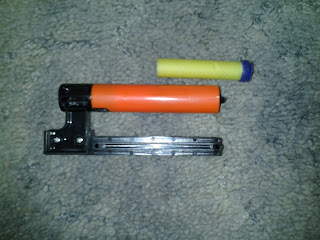 With the peg and restrictor removed, the Foam Dart Shooter is getting ranges comparable to a stock Nerf Retaliator. 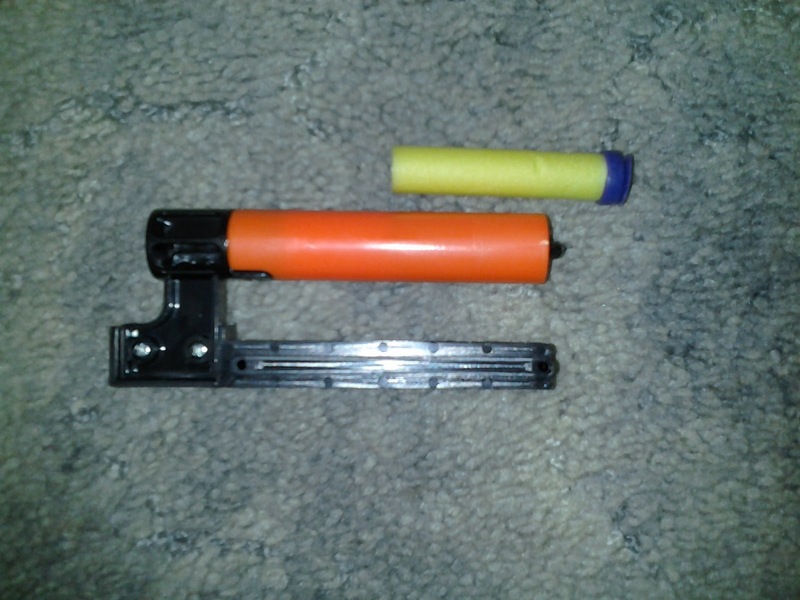 While it obviously can only fire one dart at a time, past mods to previous versions of this blaster have included full brass breeches, N-Strike clip compatibility, and other things. 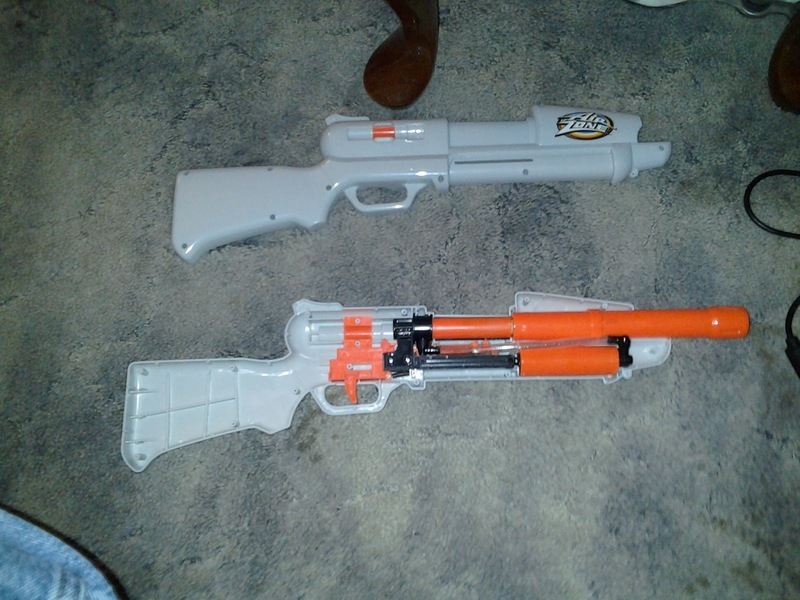 With the pump action and larger shell space for adding new internals, this blaster has a lot of potential. Go ahead and grab one! I removed the AR and now it is not firing at all. Any idea as to why my attempt fell flat? Where can I get one of these now?